Roberto Garay Martinez, RELaTED project coordinator, presented the RELaTED concept at the International Conference on Innovative Applied Energy (IAPE’19) in Oxford, United Kingdom. From 14th to 15th of March, Oxford hosted the International Conference on Innovative Applied Energy (IAPE’19). 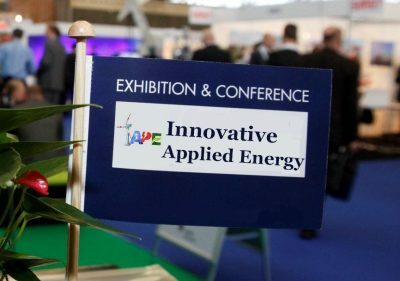 The IAPE conference provided a forum for both researchers and industrials to present and share their latest findings in all aspects of applied energy. This event was a unique opportunity to explain the RELaTED’s innovative concept of decentralized Ultra-Low Temperature network to several experts participating at the meeting. Roberto Garay, RELaTED project coordinator, provided a comprehensive review to heat production systems, with particular focus on District Heating systems, their transition to low energy systems, and the potentialities of district heating connection of de-centralised Solar Thermal Systems.